Home Products Mailing & Shipping Envelopes & Mailers Duck® Brand Kraft Bubble Mailers - Manila, 2 pk, 6 in. x 9 in. 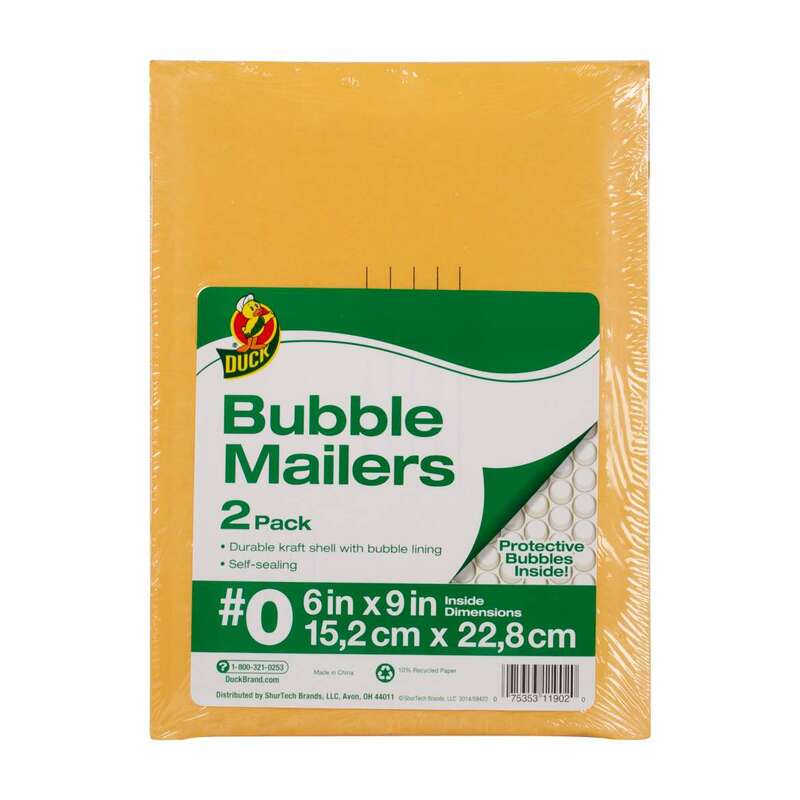 Duck® Brand Kraft Bubble Mailers - Manila, 2 pk, 6 in. x 9 in. 1 pk. 2 pk. 25 pk.